Provide quality support to your injured, arthritic or sore leg or knee with a leg brace. These leg supports and braces come in different sizes and are made with different types of material for compression and warmth. They’re also adjustable for a perfect fit that offers the support you need to promote healing. Shop for a leg brace from brands like Donjoy, Aircast, McDavid here at DME-Direct.com. We off a variety of leg brace styles and supports to help you keep moving despite soreness, strains and moderate pain. 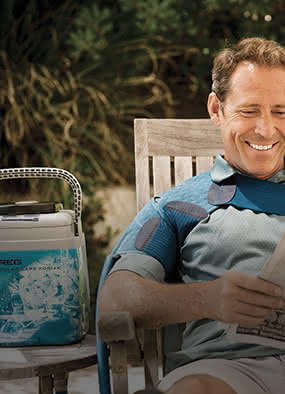 Our neoprene braces retain your body heat to help warm sore muscles and promote healing. There are also leg braces made with breathable fabric to help you stay comfortable while wearing your leg brace. Click on the type of leg support you need that our brace experts recommend for your injury.